Put great value on your wedding photos. They’re what you walk away with and keep after your wedding day is done! You’ve spent a lot of time searching for “the one”! You’ve planned your wedding day perfectly because that’s exactly what it’ll be; perfect! Between all the wedding vendors, wedding coordinators and personal helpers you’ve acquired, it’ll certainly go off without a hitch! It sounds so lovely and I’m sure it will be. But what happens when it’s done? The only thing you’ll have left to remember the moments, the emotions or the intensity are your wedding photos. 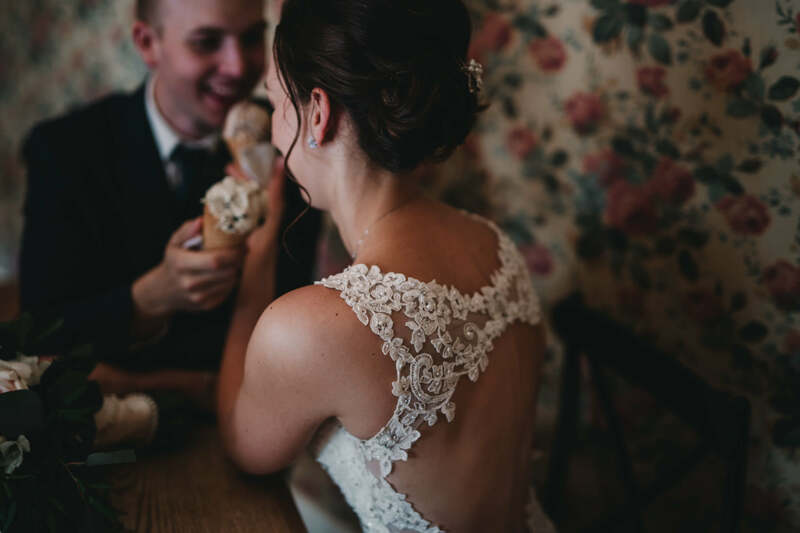 You’ll want to make sure you will have chosen a wedding photographer that was able to give you those memories the same way you remembered them, hopefully even better. 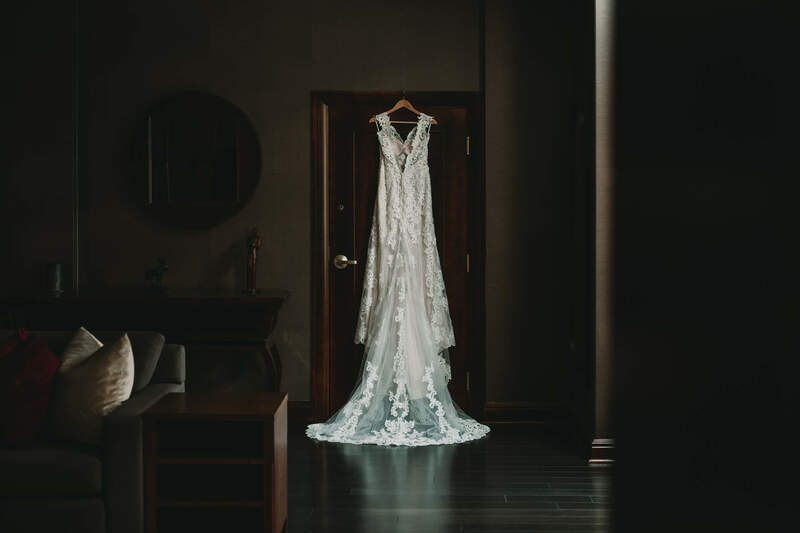 When your wedding day is done, and trust me, it goes by fast, you’ll certainly want to look back on everything that happened in the moments when you were paying attention and in the moments when you weren’t. Your wedding photos will be what will last after the big day! Quality is everything! I can’t emphasize this one enough! Out of all the wedding vendors you choose, you wedding photographer is the only wedding vendor that will travel with you all day. Let me make it even more personal for you! Your wedding photographer will likely be photographing you when you’re in your underwear, perhaps even when you’re close to naked. That’s personal! Aside from spending all day with them, you’ll have your most intimate moments shared with your photographer. Choosing the perfect wedding photographer for you means finding someone you can trust, that you’re extremely comfortable with and whose personality is an ideal fit for yours. You may be having breakfast in your PJs, changing into your amazing dress, waiting for the first look, tearing up a bit, walking down the aisle while holding on tight to the one who’ll give you away (and their blessing), choking up at the alter, jumping with excitement, cuddling in close while doing portraits, laughing when the best man cracks a joke and being reminded of memories about you during speeches. That! That is what you want to remember. That is what you’re sharing with your wedding photographer. You’ll definitely want to make sure that you mesh, that you’re comfortable with them and that you’re okay to have them be a part of your most vulnerable moments. Style matters. It just does. There seems to be three very distinct styles in which wedding photographers can fall into; dark and moody, bright and airy, or colourful and timeless. The editing is half of their work. Aside from their editing styles, are they able to capture the moments from up close and far away. The details? And the big picture? Does their photography style speak to you? When you look through one of their wedding blog posts, do you feel like you’re walking through those moments with them? If so, that is a documentary and storytelling style, which is ideal for weddings. Your wedding is your story. It should include the bridal party gifts you bought, the food you ate, the construction you sat through, the happy tears you cried and the unexpected speech Uncle Bob gave. Along with everyone’s reactions! Let’s not forget the delicious wedding cake that tastes of velvet cream – that should also be treasured in your belly, in your memory and in your wedding photos. I swear I’m not a sweets person but wedding cake “had me at hello”! If there was ever a way to do a test trial with your wedding photographer, just like you do with your hair stylist and makeup artist, an engagement session is it! Not only do you get amazing images to use for your wedding website and save-the-date cards, you get to learn about your wedding photographer. You’ll have the opportunity to see how they work, to learn to follow their direction, and most importantly, to learn about them. You will discover things about yourself too! If needed, you can always give feedback to your wedding photographer on what you liked best about your engagement photos and what you’d like to avoid on your wedding day. Here’s the best part! Your photographer will learn so much about you as individuals and as a couple. They’ll learn what your affection looks like. Does he place his hand on the small of your back or does he brush your hair out of your face? Does one lead the other when walking? What does your love gaze look like? Do you smirk at each other or give or full smiles? Does one of you joke and make the other giggle or are we doing a band photo? There are no right or wrongs. There is only YOU. When you opt in for an engagement session, you’re educating your wedding photographer on your love languages, your body languages and your comfort level. Even better, they get to give you undivided attention before the wedding day buzz. They get to be there with just the two of you. No timelines. No demands. If you decide to have an engagement session (as you should), you’ve just increased the quality of your wedding photos. 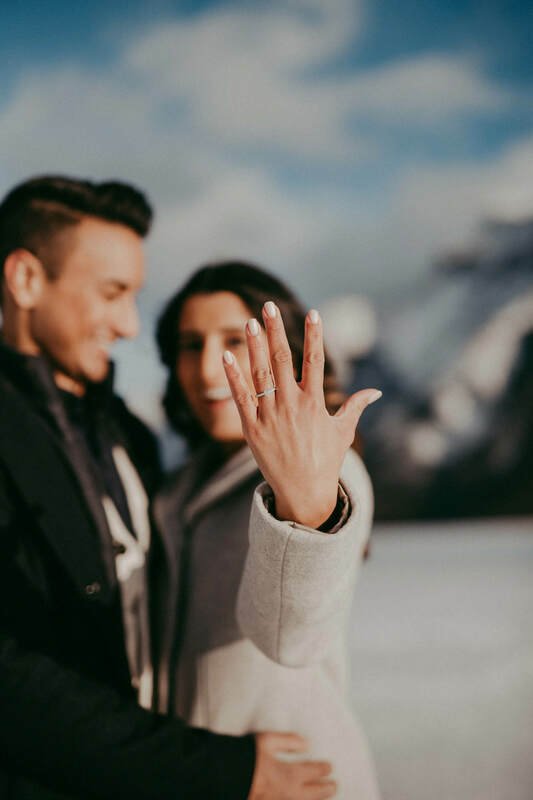 If your wedding photographer has become educated about you and is intuitive, they’ll replicate or eliminate certain kinds of images on your wedding day based on your engagement session. That is quality! If they can capture who you are together, and seamlessly, you’re gold! Why not create a Pinterest board? No really? Why not? If you have an idea, save it and pin it! Pin a lot of your ideas. Share it with your photographer. Let them see what warms your heart, what you’d like to have for yourself and hang on your wall. Let them visualize exactly what you’d like to pass on to your kids and grandkids. Let them see what you see! I assure you, as a photographer who is built to be visual, sometimes words don’t translate. Share. Pin. Share. Pin. Share. Pin. Share. Pin. Your wedding photographer will be so appreciative and so much better equipped. They’ll be able to deliver to your expectations, who doesn’t want that? It might feel silly, but practice in the mirror. A mirror is your best friend. A mirror never lies. In short, stress looks stressed. Uncomfortable looks uncomfortable. Uneasy looks uneasy. Hangry looks hangry. Relaxed looks relaxed. Joyful looks joyful. And love looks like love. Know your body language. As photographers, we study it and know it intently. We have to. It’s important for us to know what makes a couple look intimate, fashionable and at their best. We need to know what makes someone looks stressed or not (see a few quick notes below). And even though we know all these things, we do hope that you also know your good side, your best pose, your most comfortable hug, your height difference, your limitations, your nervous behaviours, your flirty behaviours and so on. If you’re not too sure, you’re wedding photographer should be able to guide you! I present to you a “band pose” photo! An average amount of time for a bridal portrait session is two to three hours. Two hours will be more than enough if you’re not expecting to travel to multiple locations. Keep in mind that even a close location will still take fifteen minutes there and fifteen minutes back. If you travel to more than one location, you will have used up a full hour in travel already. Your bridal portrait session will likely be separated into three different parts: family formals, bridal party and the two of you as a couple. You’ll want to give a minimum of thirty minutes to each and then add travel time. If you can give yourself fourty-five minutes to an hour with your photographer for just the couples session, I assure that you’ll be thrilled with the beautiful collection. Love is in the air! By allowing enough time for your bridal portrait session, you’ll also avoid being on a time crunch. That means you’re relaxed and not stressed out. As mentioned already, stressed looks stressed! Make if fun. Make it free. Make it a time to exhale. Get flirty. Chances are you’re now officially married and these are the very first images of you two as a married couple! Love it for all it’s worth. Celebrate it with a dance in an open field, an embrace in the mountains, a tender kiss to say “I’m happy you’re mine!”. Get close. It’s now just the two of you on a rather busy day. This is a big one! When you’re wedding planning, expect the unexpected. It’s an absolute guarantee that the unexpected will happen. One of the best ways to keep things on track is to plan your wedding day schedule with time buffers built in. In theory, it would be amazing if your wedding day followed the schedule to a tee. I’ve seen wedding day schedules created with five minute increments between events. A lot can happen in five minutes and then your entire day is thrown off! The best plan to have is a Plan B! Give yourself time buffers in between events, especially before the ceremony and reception. Not to scare you but to prepare you, I’ve written out a few things I’ve witnessed while photographing weddings. the caterers took your food to another location and another wedding, you buy mass amounts of pizza! I re-read my list and it sounds so horrible. Not all those things will happen but you can surely expect something unexpected to happen. Give yourself time buffers. Be patient. Hire a wedding planner or use a day-of wedding coordinator. If something does come up, you have someone who is already handling it. That leaves you free to ENJOY your wedding day. If nothing unexpected happens, you’ll be far ahead of things. You’ll also be one-of-a-kind! Ask any photographer what their favourite time of day is and they’ll tell you it’s the golden hour! That the hour before the sun sets. The beautiful golden rays of light hit you softly and make you glow better than any anti-aging cream I’ve ever seen. If there was ever a way to emphasize your beauty or make you look more vibrant, it’s the golden hour. You know all those insanely romantic couples’ photos you’ve seen all over Instagram? The ones that go viral and get reposted by every wedding and elopement account? The ones where it looks like someone came in and poured a whole bunch of magic and pixie dust all over it? Those are your golden hour photos. Let there be light! And let it be soft! 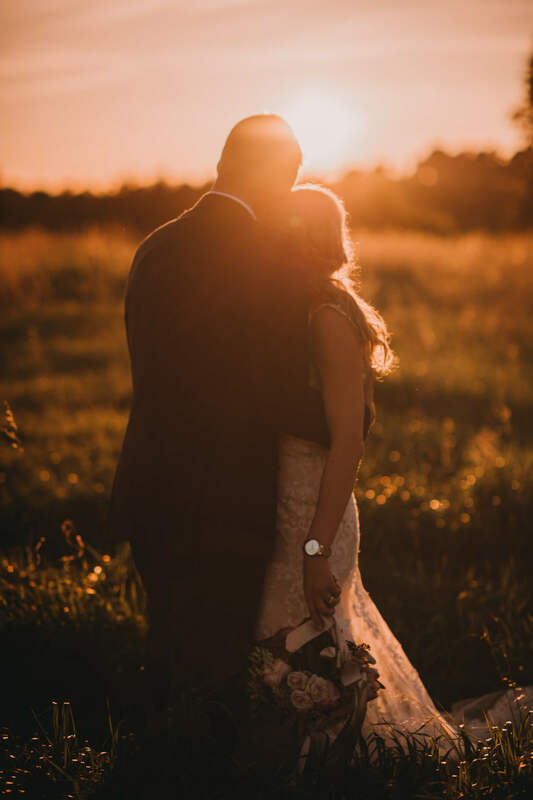 Arrange a minimum of twenty minutes with your wedding photographer to skip out quietly and have a small mini-session in the most beautiful light! For anyone who’s from my area, Banff, Canmore or Calgary, you’ll know of the outrageous sunsets we get. Even when I’m not out shooting, I fall in love with them almost every night as I sit on my patio. The clouds scatter across the sky and the sun BEAMS colors of cotton candy. I’m in awe every time! Not kidding. I personally think we live in such a beautiful country. Mountains, plains, glacier lakes, rolling hills, waist-high fields…. The options are endless. Get out there. It’s twenty minutes and it’s AMAZING! Soak up the beauty in this world. And then hang it on your wall. I promise you won’t regret it. The picture below IS how the sunset was. I’ve been asked if I photoshop that into images. The answer is no. I photograph what I see and am intentional about when and where I shoot. I’m very intentional in creating the environment that give the most amazing images. This is a true Alberta sunset. Nice right? Quality is everything! Your wedding day deserves to be magically remembered and captured. It only happens once. Who you choose as a wedding photographer will either make you comfortable or not at all. It’ll show in your wedding photos. Your wedding photographer’s style should align with your the dream wedding you’ve been planning. 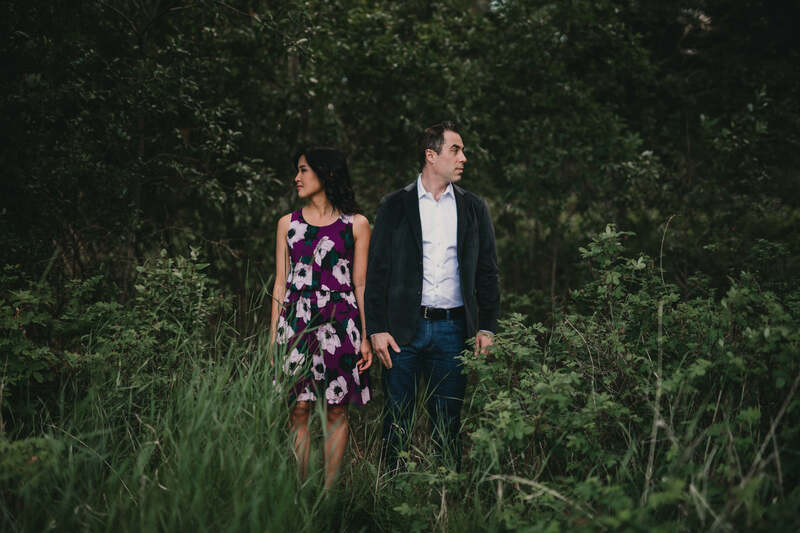 Do a test run by planning an engagement session with your wedding photographer. Share your ideas with your wedding photographer, they can do so much for you knowing your vision. Be relaxed, nervousness and anxiety has never looked good on anyone. Don’t find time, MAKE time for your bridal portrait session. And have fun while doing it! Exhaaaaaaaaaaaale. The best plan to have is a Plan B! It’s not just a lesson in wedding planning, it’s a valuable lesson in life. Soak up the golden hour! It’s golden for a reason.